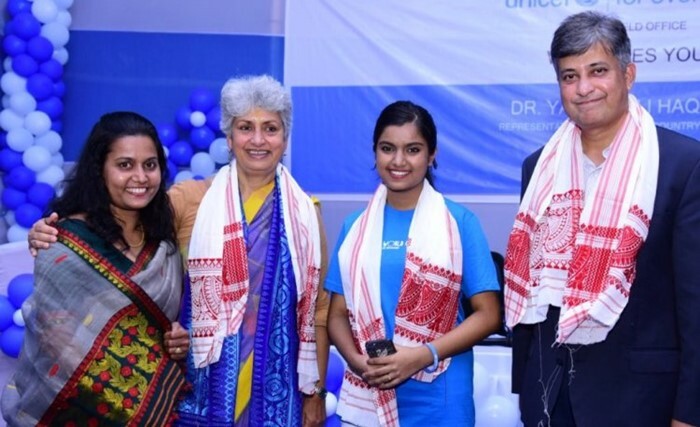 United Nations International Children's Emergency Fund (UNICEF) has appointed popular singer Nahid Afrin of Assam as the first 'Youth Advocate' of the northeastern region to fight for child rights. UNICEF engages 'Youth Advocates' to harness their voice as agents of change in society. Nahid had made her playback debut in 2016 Bollywood film 'Akira' starring Sonakshi Sinha in the lead. She received best female playback singer award at the Assam state Film Award 2018. UNICEF is a special program of UN devoted to aiding national efforts to improve the health, nutrition, education, and general welfare of children. After 1950, it directed its efforts toward general programs for improvement of children's welfare, particularly in less-developed countries and various emergency situations. Q. United Nations International Children's Emergency Fund (UNICEF) has appointed which popular singer of Assam as the first 'Youth Advocate' of the northeastern region to fight for child rights?